There are many times where we feel our computer has gotten slow, although applications seem to work fine. It is quite normal for an Operating System to make redundancies because it is a part of its process. These add up over days and then cause a dip in speed. 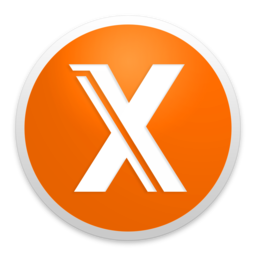 OnyX for Mac is utility software that helps keep your Mac efficient by routine maintenance and optimization measures. It is a free utility that you can download for your Mac and have it running from a simple procedure. You will not find this app from the App Store however but you can find it from the download here. Each version of this software runs from a different Mac OS, so you will have to find out from the ‘Apple’ symbol from upper left corner and then select ‘About this Mac’. Keeping that version in mind, you will easily find the respective version of the utility to download. Once you have downloaded the correct version of OnyX, you just need to drag the icon to ‘Applications’ and then you will be able to see it under ‘Spotlight’ menu. To open the program, you will need administrator privileges if you have set password. You will finally see a menu bar when you open the software. The menu bar various tabs for each function, but the first thing you need to do is to go under ‘Automation’. This Mac cleaner software is effectively very easy to use and the automation tab performs all the functions on its own so you only need to do this once. You will see a number of check boxes, which will be a part of its maintenance program. Many things among those are safe explanatory but some you may not know like Scripts. These protocols are run under your computer automatically. You will also find this manually under the ‘Maintenance’ menu. Likewise, similar checkboxes can be checked if you are using the respective feature. For example, some people don’t use the mail client at times and so they keep that box unchecked. If you see the heading under ‘Cleaning’ in the automation tab, you will see many checkboxes concerning cache. These are all basically short-term memory for individual programs or users or systems. These are usually unimportant. These files take up more space in your hard drive and removing them will help your Mac a little bit faster. There is also another version that says ‘Automatically saved versions of documents’. This is actually an important feature for those people who are working on certain documents and their computer crashes. It is usually the auto save feature that saves them but if this is checked then it will get frustrating when you lose your work over power failure or any other crash. Another are you might want to take caution is under the ‘Cleaning’ tab and then select ‘internet’. You might want to uncheck ‘Form values’ and ‘Cookies’ because they will save your internet surfing experience. You will also get a short notice for unchecking them. If you think no one really uses your laptop other than you then it would be a good idea to uncheck these. When you are confident that you have done all the settings, you can just run ‘Execute’ and then it will take 10 to 15 minutes to complete the process. It is better you let this program run on its own without multi-tasking so that it finishes quickly. When it is done, you will only need to restart or shut down your computer. The fresh restart will give the full effect. The application is made from a third-party application but it is made very well. Even though you will not find it in the App Store, they do a very good job in updating and keeping the application seamless. OnyX Mac is also light and does the desired maintenance very well.